For an artist, the studio is the engine room of his or her creativity. It is both playground and prison cell, the place where long, long days are spent wrestling with the Muse. For the public the artist’s studio is a mysterious and magical place where an infinite diversity of images are brought to life. 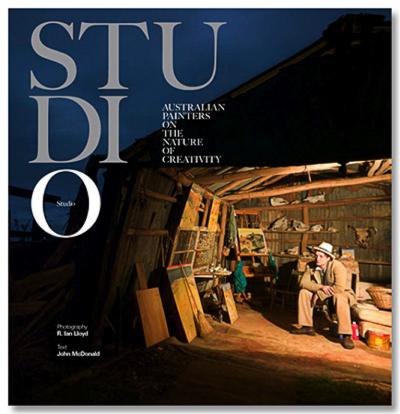 STUDIO: Australian Painters on the Nature of Creativity showcases 61 important painters working in their studio environment. The aim was to capture a broad cross-section of artists from all over Australia working in a variety of styles, as well as traditional Aboriginal painters. Photographic portraits by National Geographic photographer, R. Ian Lloyd, reveal the artist’s working environment in fascinating detail, whether it be an inner city loft, a kitchen table or the sandy earth of the Outback. Art critic, John McDonald, provides profiles of individual artists, examining the way their studio space affects and stimulates their creativity. What does an artist do when he or she reaches a creative block? How important is it to create the right environment for creative activity? What can we learn from a mistake, or a happy accident? How important is subject matter? Where does work begin and play end? To answer these questions, the authors travelled more than 50,000km, and shot 50 hours of video footage. In the process, what began as an overview of contemporary Australian painting became an informal enquiry into the nature of creativity. As more information was gathered about the way painters think and work, the similarities and differences became ever more absorbing. The result is a book that focuses on the painters of one sprawling continent, but finds lessons applicable to all times and places. STUDIO presents an extraordinary anthology of visual and verbal insights into the way paintings are made, and the complex blend of motivation and inspiration that sustains the painter in his or her solitary search for meaning. As the first comprehensive study of Australian art since the 1960s, Art of Australia has the lofty goal of chronicling the entire history of Australian art with a modern perspective. This opening volume, Exploration to Federation, succeeds magnificently in capturing the earliest Australian art movements and artists, from European exploration up until Australian Federation. John McDonald is one of Australia’s eminent scholars, curators and publishers. 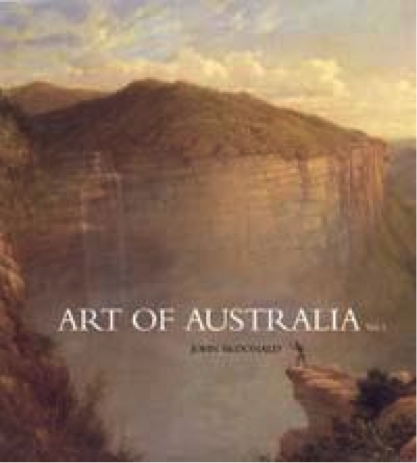 He has crafted an in-depth and comprehensive study of Australian art, setting a very high standard for future volumes.